Wireless or wired? Fast, faster or the fastest? 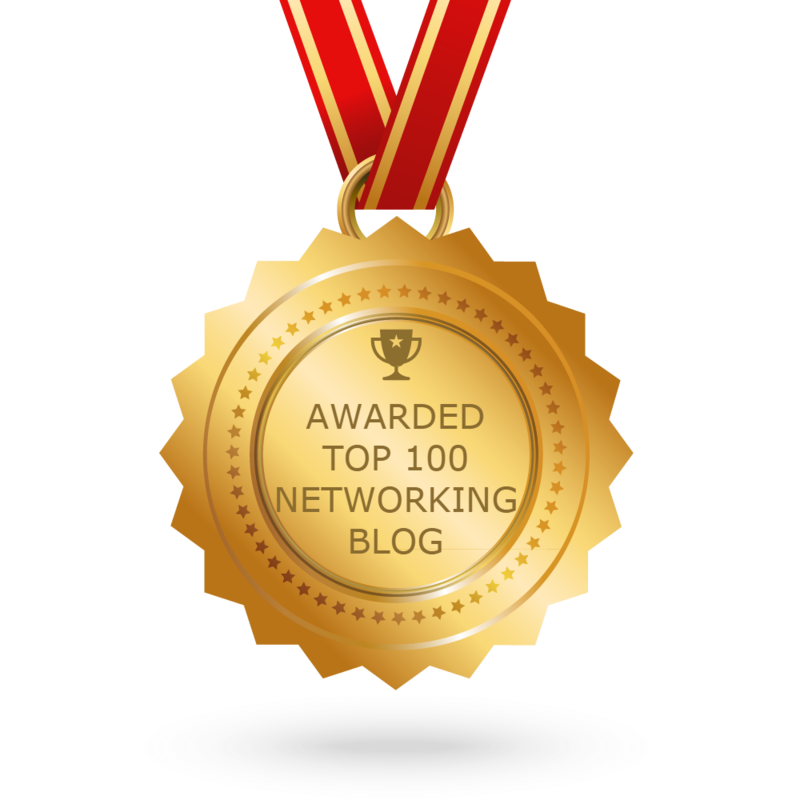 What’s your demand in your networks? 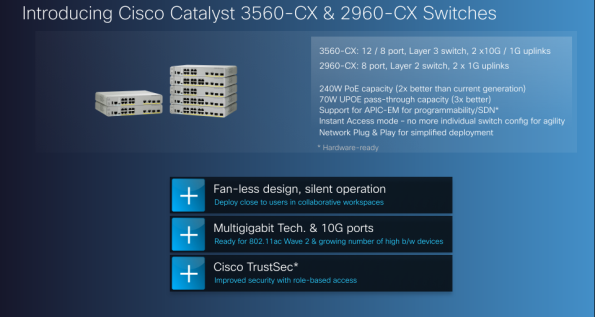 Over the years, Cisco has been focused on creating the best wired network to enable mission critical wireless, for example, it introduced Catalyst 3850 & 3650 Stackable Converged Access Switches for wired & wireless networks in 2013; It expanded the converged access portfolio by introducing Converged Access on Catalyst 4500E in 2014. And now wireless networks are becoming faster and faster. 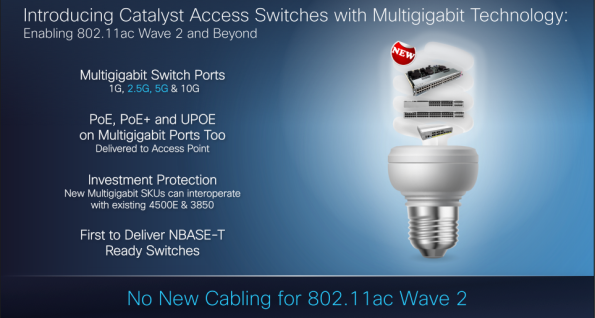 With 802.11ac Wave 2, wireless networks will be capable of achieving speeds up to 6.8 Gbps. This creates challenges when connecting APs to switches which normally run Ethernet at 1GE or 10GE. 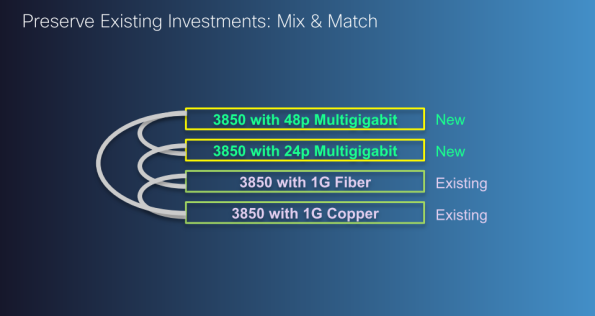 To meet these evolving demands, Cisco has as of today revealed some new Catalyst Multigigabit technology across several campus switches: Catalyst 4500E, 3850 and 3560-CX. The most compelling new features are support for multigigabit interfaces, more power available for PoE, support for 10GE on the uplinks and being able to be deployed as an Instant Access switch. It also support PoE pass through which can help save on long cable runs. The Catalyst 3560-CX supports two multigigabit interfaces. This device is fanless, so it can be deployed in cubicles to decrease the need for a wiring closet. It also has the support for role based security. 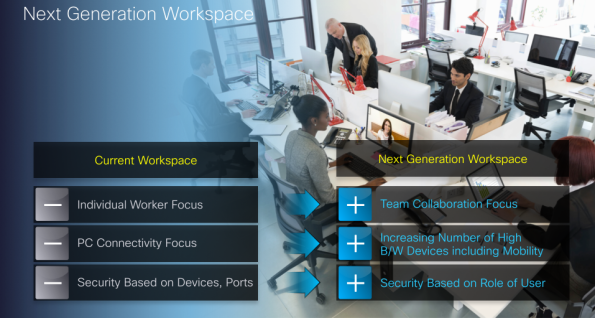 Cisco’s goal is to provide for a better working environment, which they call “Next Generation Workspace”. If you are a technical person, you are probably wonder about the multigigabit ports. IEEE only has 1GE, 10GE and so on. Cisco started the NBASE-T Alliance with Aquantia, Freescale, and Xilinx. Other members have joined since. They are also working with the IEEE to make these multigigabit Ethernet technology a standard. 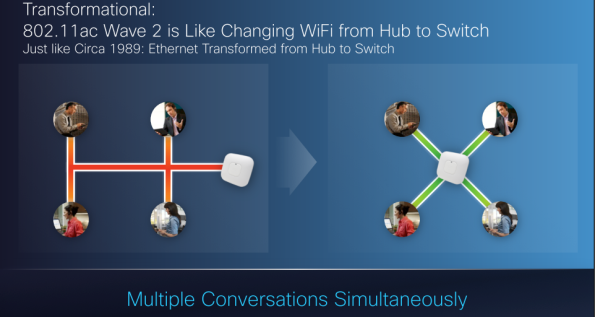 With 802.11ac Wave 2 comes the possibility for having multiple conversations at the same time. Basically taking wireless technology from being a hub to a switch. This then creates challenges with Cat5e cables being limited to 1 Gbps and the support for PoE on multigigabit interfaces. The new rates for multigigabit ports will be 2.5 Gbps and 5 Gbps and PoE are also supported on these ports. There is also a new line card for the Catalyst 4500E with 48 ports where 12 of the ports are multigigabit capable. 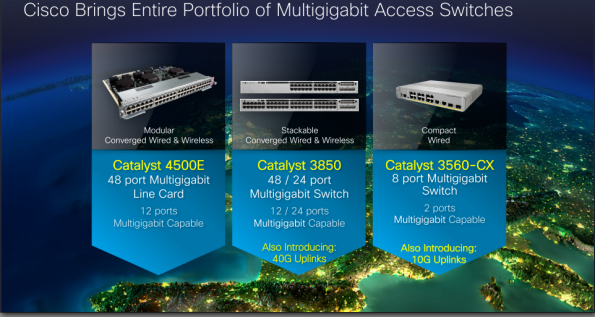 Then there’s also a new version of the Catalyst 3850 in either 24 or 48 port models where half of the ports support multigigabit, so either 12 or 24 ports will be multigigabit capable. The Catalyst 3850 will also support 40GE uplinks which is another nice addition. The new Catalyst 3850 is compatible with the older model so you can stack them together if you want to. 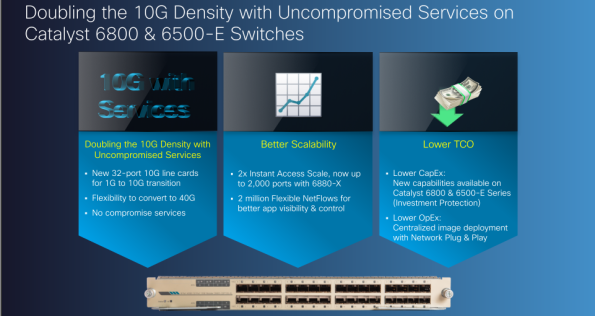 To support the increase of traffic in the backbone, there is a new line card for the Catalyst 6800 and Catalyst 6500-E switches which supports 32 ports of 10GE, there is also the possibility of converting ports to 40GE. Cisco has also increase the scale of Instant Access from around 1000 ports to 2000 ports. The scalability was a bit limited earlier for larger networks so this is a welcomed increase. Wired and wireless networks are converging. To support this there is a need for interfaces capable of more than 1GE. Cisco is now preparing for the next wave of 802.11ac and more of their products are getting support for Instant Access. This will speed up the convergence of wired and wireless networks and make it easier for network administrators to manage their network.